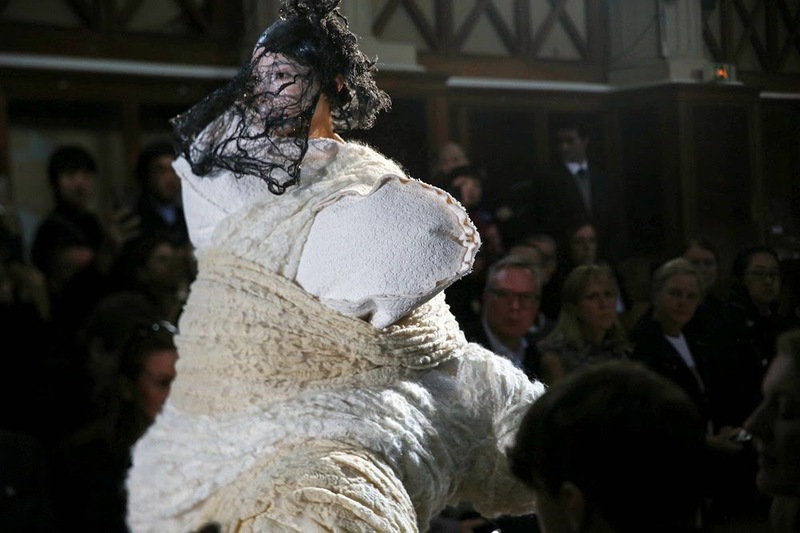 Chaos to couture, couture to chaos, beautiful chaos, all these words go hand in hand with the Comme Des Garçons dialogue with fashion, wondering if it is still fashion or anti-fashion? 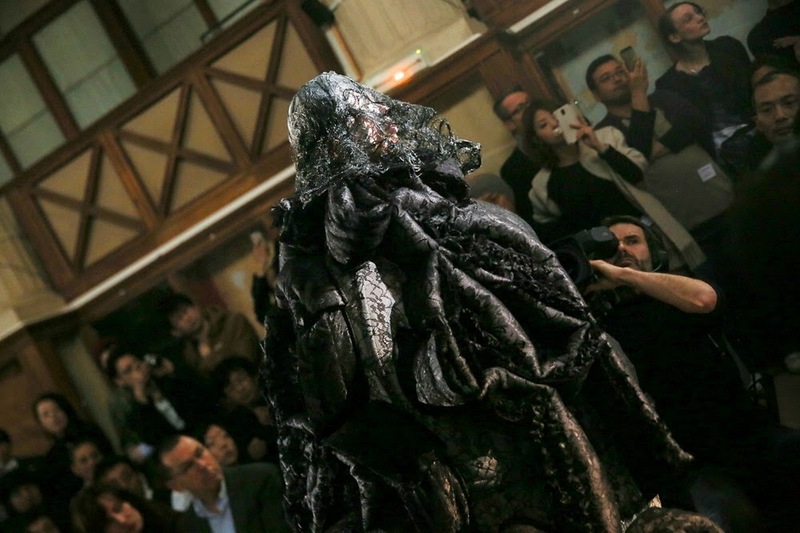 Rei Kawakubo does really know the industry she works in. She knows she's not creating art but fashion, in other words fashion through the Comme Des Garçons standard of deconstruction and chaos. 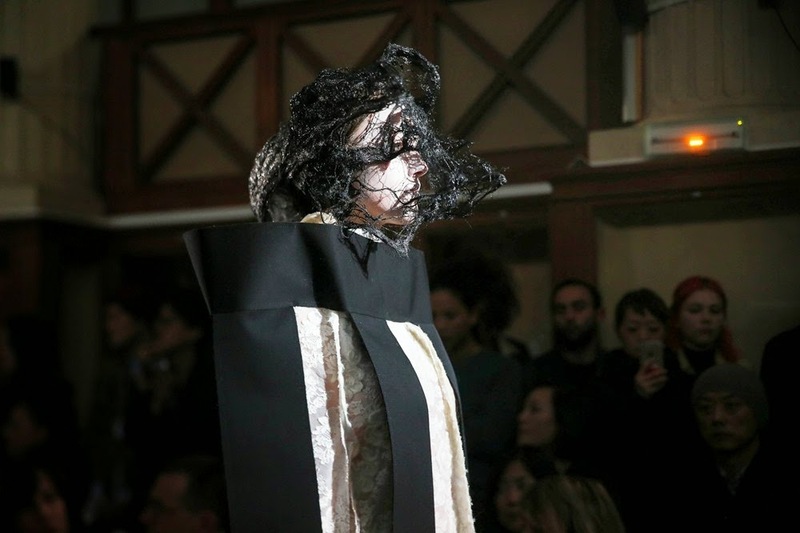 The AW2015 collection is her fourth expression of beautiful chaos, delivering a celebration of loss through shapes and forms refusing again to actually give birth to ready-to-wear clothes. 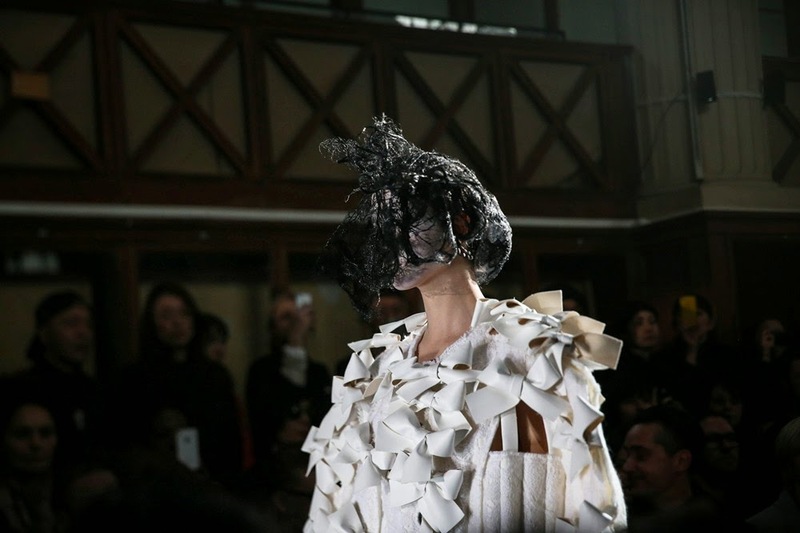 Kawakubo has proved over the years that she is beyond these ideas of "clothing" or "wearability". It's just her way of expression. What she sends to the runway translates her mood or her emotions. Last season was articulated around the idea of all the emotions symbolized by the color red (blood, flowers, love, passion...). 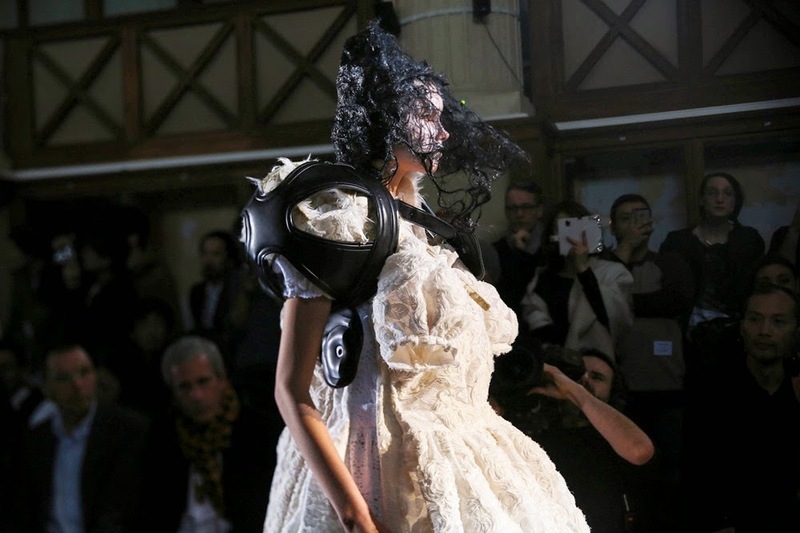 The season before (AW2014), she focused on the idea of horror. 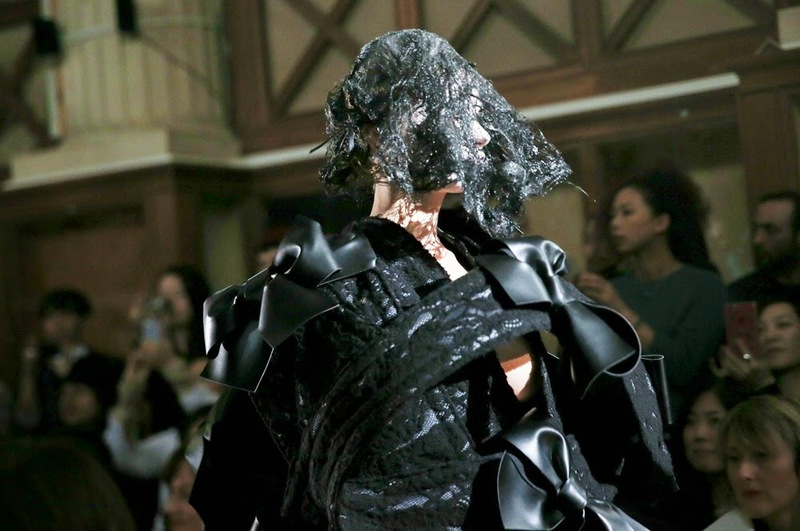 For SS14, she wanted to represent objects, pushing herself to deliver something she had never done before. These last four collections all revolve around the uncompromising idea of disruption. The only thing echoed through her collections is probably the life captured at different stages such birth, marriage, death, rebirth, all these rites of passage we will all have to challenge. 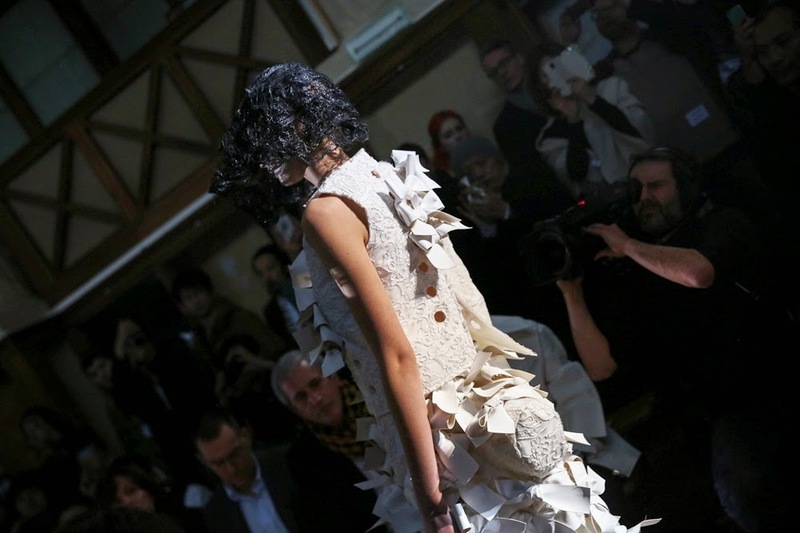 We think somehow of her SS2012 White Drama and the SS2013 that could be read behind this AW15 collection. 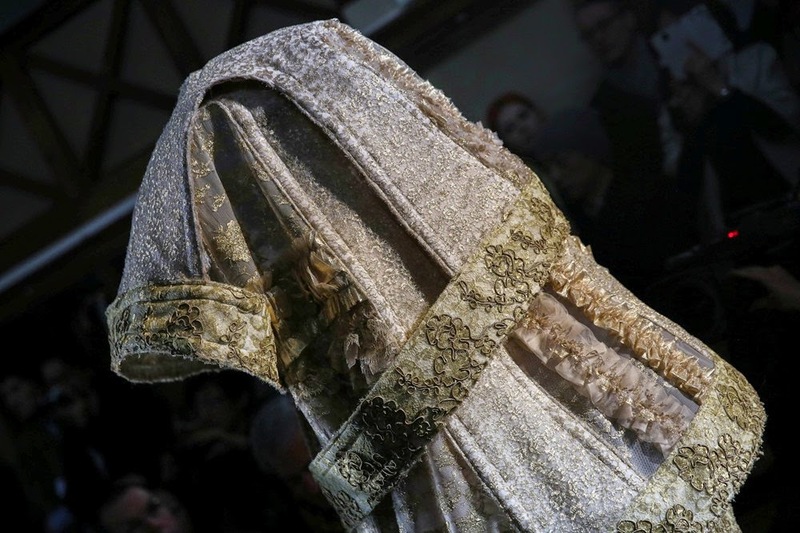 Death and loss were draped over this accumulation of laces and bows embellishing and wrapping the body of the models. 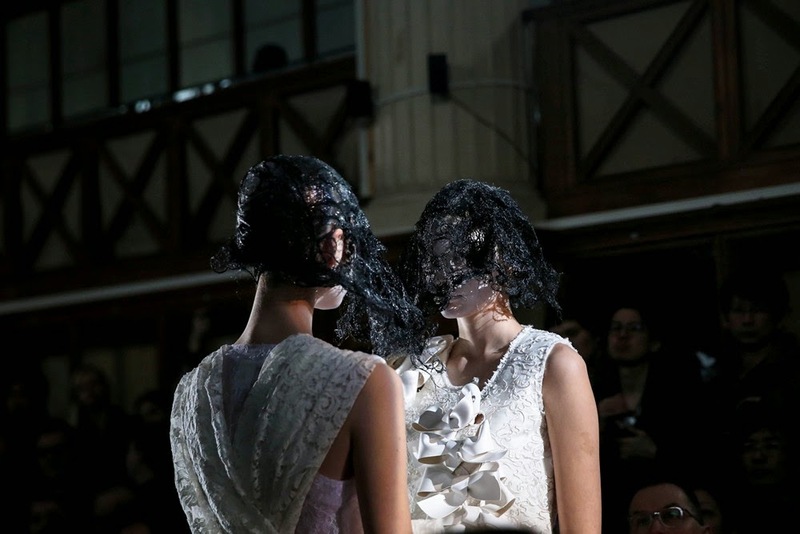 Hair veils by Julien D'ys were hiding the face of models as well. Death and Loss through eastern and western cultures. Black, white and gold, all symbolizing death and mourning depending on where you come from. Surprisingly, there was nothing macabre behind these eighteen looks as it were a celebration through black, white and gold. After all, isn't a funeral made for honoring the one who passed away? Only eighteen looks embodying this emotion because they were meaningful, standing for themselves. Obviously, buying them is definitely having something exquisite and unique in your wardrobe but it's also like doing something positive like burning an incense or lighting a candle from the Comme Des Garçons perfumes: "for over 5000 years people over the world have been burning incense in order to honor their ancestors, purify the air, symbolize the ascent of the prayer, induce a meditative frame of mind, accompany a ritual or simply make one feel positive."